Welcome To PICC Excellence, Inc.
CPUI™ is a professional certification for PICC Inserters who have inserted up to 25 PICCs with ultrasound. 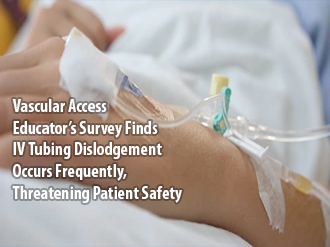 New JAVA study documents prevalence of and risk for accidental dislodgement of IV Catheters - Accidental dislodgement of intravenous devices is a common occurrence that has a significant impact on patient safety, according to a clinical survey of nurses and vascular access specialists. Results of the survey are published in the latest issue of the Journal of the Association for Vascular Access (JAVA). See full press release. New White Paper Introduces Innovation to Address Challenges of Ultrasound-Guided PIV - As more patients present with difficult vascular access, the use of ultrasound guidance to facilitate peripheral intravenous placements has become more prevalent in hospitals. Maintaining a proper aseptic technique during UGPIV insertions is essential for reducing the risk of contamination, but current infection control methods can be costly. 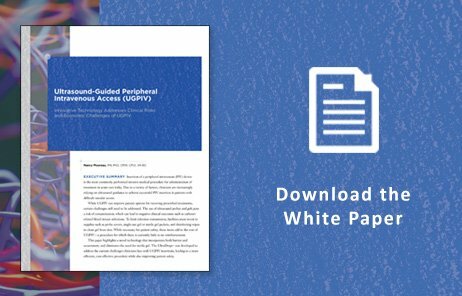 This white paper discusses new technology designed to overcome the challenges associated with UGPIV procedures, allowing hospitals to improve patient safety at a significantly lower cost. Learn more about maintaining aseptic technique and reducing contamination during ultrasound-guided PIV insertion. 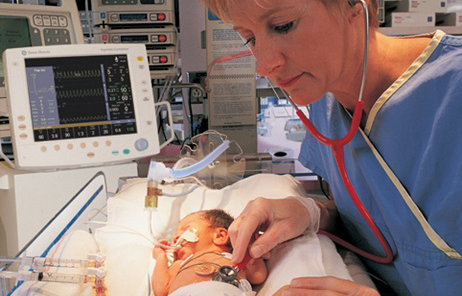 Neonatal PICC Qualification Training Program - While years in development it was well worth it for the Neonatal PICC Qualification online training program. This program has the best minds in neonatal vascular access contributing to create a quality product. Much appreciation goes to Baptist Medical Center, Wolfson Children's Hospital in Jacksonville, Fl. and Atlanta Children's Hospital for their valued contribution to this program. Check out the new Peripheral IV Simulator! PICC Excellence, Inc. is an educational company committed to providing educational programs, certification, and continuing education credits for vascular access education. We provide a support network and continuing education contact hours for vascular access professionals who insert or manage central venous catheters. Our goal is to be a source for evidence-based education to promote a greater understanding of vascular access best practices while providing a support network for anyone inserting, managing or interested in these devices. We meet these goals by providing scientifically sound and learner driven criteria in group training workshops, customized on-site training, online education and certification for physicians, registered nurses, nurse practitioners, physician assistants, radiological technologists, respiratory therapists, sales representatives, patients and anyone interested in these subjects. We provide the tools, knowledge, and level of expertise you need to impart the best care to your patients using the latest techniques and technology. Workshops - We offer hands-on workshops in Pediatric PICC placement in Jacksonville, FL. We also offer Adult PICC placement workshops in Atlanta, Georgia, and Adult PICC and Ultrasound Guided Peripheral Catheter placement in New Jersey/New York area. Our trainers are selected based on their extensive experience with vascular access and their adaptability to individual learning styles and needs of the facility. Registrations are available on a first come, first served basis. We suggest you register early for the workshop you would like to attend to secure your enrollment in the class. Site Licensing - Site Licensing allows hospital administrators to provide quality vascular access education to their entire nursing staff at a discounted rate. Site licensing allows open access to all PICC Excellence, Inc. courses for an entire year from the date of purchase. Our educational site license allows you to tailor your training expenses to meet your exact needs. Clinicians can learn individually, coordinate their personal schedules or even take courses from their own homes. This individualized training schedule presents a significant savings to your hospital or organization. 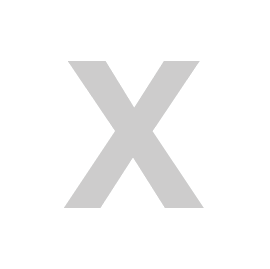 Testing is done online; successful completion of a program and the corresponding test allows the clinician to immediately print a certificate showing completion of the course. No more waiting for education certificates to be mailed! Site Licenses also allow a designated site license manager to view reports at no additional fee that include important evaluation and usage information to maximize the utilization of this educational tool. Subscription – For larger volume customers a subscription service is available providing access to all online educational programs for a monthly rate. With a minimum commitment of one year this auto renewal program allows continual online access with immediate use of new programs, updates and more. Contact PICC Excellence directly for more information and a quote for your company. For staff, the education is used initially for new hires with the Basic PICC Qualification for Adults, Pediatric or Neonatal patients. The ongoing education to clinical staff provides support to help them apply best practices to maintain and improve the services provided to patients. Credibility of clinical staff is increased through their supported knowledge base and through credentialing in the certified PICC ultrasound inserter CPUI certification. For customers, online education can work for you to provide the value that gives you the edge in gaining accounts. Application of best practices in the care of PICCs and vascular access devices results in better outcomes, reflecting back on your company. Using online education prior to any on-site teaching event allows the participants to be ‘primed’ and ready to hear and learn more while gaining additional continuing nursing education. Consulting/Legal/Expert Witness - PICC Excellence also offers consulting, legal and expert witness services under Dr. Nancy Moureau. Dr. Moureau is a key opinion and world leader in vascular access. Through her consulting services, she shares her expertise with you in a variety of ways. Nancy is available as a conference speaker for international, national and local groups; she performs legal reviews. She also provides expert testimony for malpractice law suits specific to PICCs, Midlines and intravenous therapy issues. Through her work, studies and speaking engagements, she provides insights through on-site hospital evaluations of your PICC and vascular access specialist services. Nancy also provides clinical reviews of publications, assists in research and evaluates new vascular access technology. Nancy stays current in all areas of vascular access allowing her to easily educate on current topics, advise with legal case opinion, perform deposition and testimony services. - PICC Excellence launched the first of its kind PICC credentialing program in 2009. CPUI is an international certification program for clinicians and medical professionals who place peripherally inserted central IV catheters (PICCs). Our mission is to share knowledge and elevate vascular access to a higher level of success and promote patient safety in clinical practice with nurses, physicians, respiratory therapists, physicians’ assistants and radiological technicians. This certification program validates clinicians’ qualifications to perform ultrasound guided PICC placement, a highly valued procedure, but one that is also very invasive and potentially life-threatening. Unlike other forms of certification that validate knowledge, only CPUI documents qualification to perform the procedure. PICC Excellence, as a medical and nursing education company, created the CPUI credential in part so patients and employers could verify that an individual clinician is trained and qualified to insert a central venous catheter. The CPUI program aims at improving patient safety and promoting higher standards in healthcare. The credential verifies training consistent with national recommendations on education and training from Society for Healthcare Epidemiology of America (SHEA). This program expands the training offered by PICC Excellence and is the first credentialing program of its kind for medical professionals performing PICC placement. Prior to the CPUI, qualifications to place PICCs have been loosely defined, including completion of an unspecified educational program followed by unconfirmed supervised insertions. Our initiative is aimed at defining the knowledge necessary for this specialty practice and providing the verification to ensure patient safety with these procedures. With infection as the gravest concern associated with central venous catheters, becoming a Certified PICC Ultrasound Inserter establishes the clinician as one who is knowledgeable of infection prevention principles and able to function with patient safety in mind. We at PICC Excellence feel patient safety is a serious issue requiring attention for clinicians to function within guidelines and recommendations, all developed with the goal of protecting the public. Today’s healthcare requires hospitals to apply the guidelines, verify and demonstrate clinician credentialing for invasive procedures such as central venous catheter insertion. It has been our dream to advance patient safety by making certification available to more clinicians. Our future goals include expansion of online course content and credentialing opportunities in specialty areas of pediatric, neonatal, ultrasound guided peripheral and central device placement for physicians, nurses, and other medical professionals including all types of arterial, peripheral, central venous devices and ultrasound-guided insertions. PICC Excellence is an approved Continuing Nursing and Radiological Technologist provider of education. All educational programs offer opportunities to earn continue education credits, including online training with hospital site licensing options. Hospital staff and individuals save with access to all 15 educational programs through the discounted site license option. PICC Excellence is a resource for questions and education for all things vascular access. For more information about PICC Excellence and the CPUI certification program, call toll-free 1-888-714-1951, email info@piccexcellence.com or access www.piccexcellence.com .